The good news is that the number of reported burglaries in the year ending in March 2014 fell by 12% on the previous year according to the Crime Survey for England and Wales. The bad news is that, according to a previous report, the police areas within the Yorkshire region rank amongst the worst in the UK for burglaries. And to compound that, while the number of burglaries is falling, the value of items stolen is increasing according to a Confused.com report. 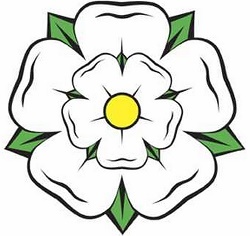 During 2013 South Yorkshire topped the table for the percentage of population burgled with 1.19%, closely followed by West Yorkshire at 1.15% and Humberside at 1.13%. All 3 areas ranked ahead of the London Metropolitan area at 1.12%. Only North Yorkshire residents can be reassured with just 0.54% of them victims to burglary, ranking 37th out of 42. Within these areas, the worst affected cities are Leeds and Bradford. Following the release of these worrying statistics, West Yorkshire Police and Crime Commissioner Mark Burns-Williamson vowed to include tackling burglary as a priority in the Police and Crime Plan 2013/14. The falling overall rate of burglaries has to be seen as a positive and is the most recent research so with any luck the regional statistics will follow suit when measured at the end of the year. Nevertheless, we have to ask the question – why are the rates of burglary so high in Yorkshire? The answer to that is no doubt complex but one reason could be that we don’t take our home security seriously enough? Here at Calder Security we often find that the most security conscious people are those who have already been burgled; those who have not experienced a break in tend to be much more complacent about the risk. Most burglaries tend to be opportunist in nature so the more times you don’t shut all your windows or don’t bother to set the alarm, the more you increase your chances of a break in. The Take it from Them before they Take it from You campaign from West Yorkshire Police uses quotes from convicted burglars to demonstrate how they think and the common mistakes that householders make. It includes hanging around when you see someone leaving the house to hear whether the alarm has been set or making a decision on whether it’s worth breaking in based on the items that can be seen through the window. It makes for interesting reading, especially when you consider how easy these things are to avoid. If we want to see a drop in crime in this region we all need to take some responsibility for our little part of it. We’ve posted several articles on the blog that feature tips on keeping your home safe. A recent one talks about security in the summer but many of the same principles apply all year round. If you’d like more advice on how to keep your home safe then please feel free to call us on 01924 371941 or see us at our security shop in Wakefield. In the meantime let’s all make a personal commitment to implement these small changes in behaviour and get some of those jobs sorted like getting the burglar alarm serviced, repaired or having one installed. The most important thing is to not make it easy for burglars, and definitely don’t wait until you become a victim before taking action. Hopefully we will then see a turnaround in those crime figures next time.